How can financial planning software help take your business to the next level? Financial software tools feature a wealth of benefits. Unlike manual systems, automated programs perform instant calculations; they can also asses, analyze, and track progress so that you know what your team is working on every step of the way. Small businesses and startups of all kind should start paying more attention to their financial planning process. If you choose to take issues for granted and not manage cash flows and payroll properly, you’ll end up hitting rock bottom. Many small businesses don’t have a lot of cash to pay for experienced financial advisors and consultants; and even if they had the money, why pay for services you don’t know are good, if you can use advanced technology and receive a great product that renders live results? Financial operations are usually disjointed and fragmented, especially in bigger companies with different divisions. Managing a budget can differ from one department to another, or each section may recognize revenue and income in a different way. This doesn’t just hinder effectiveness, but it might also compromise the veracity and integrity of project execution. Financial management software solutions can help companies stay consistent and implement procedures effectively so that activities can be handled properly. Because detailed financial information usually resides in disparate databases across numerous remote locations, it can be difficult for a company to have a global view of its financial status. Managing and monitoring activities is incredibly challenging, even impossible. However, financial management software programs can help businesses centralize their finances and make the information become readily accessible to end users across various branches, departments and business units. Finance software solutions help you minimize risk. There’s a program out there for your business needs; you just have to find and choose the right one. Building a bulletproof compliance framework is the key to success. Improved financial controls advanced reposting functionalities and enhanced auditing capabilities enable startups to alter their goals and adapt to change. What should we expect to happen next year in the business environment? Will new trends impact our business and business goals? From a financial perspective, what should we expect to happen? Answering these questions accurately is vital to efficient corporate planning. The best financial planning software solutions can be the foundation of a successful business strategy, and modern technology has convinced us that the World Wide Web is incredibly useful; not to mention vast. • Wave Accounting – 100% free and extremely efficient, Wave Accounting offers double-entry accounting services for startups. The software has a cloud-based interface, thus making accessing data extremely easy from anywhere in the world. The tool also provides seamless invoice integration, receipt scanning, payroll, data processing and more. • PSB (Passport Business Solutions) – complete back office package with comprehensive business software solutions that can meet the demands of companies of all sizes and shapes. Among some of the markets that PSB targets, we should mention retail, accounting, distribution and manufacturing. • Paddle – Paddle claims to be one of the most efficient cloud accounting software tools available in the marketplace. It targets all business types by providing interactive features that makes running a company easy and efficient. Paddle is free, so startups and companies on a budget will certainly appreciate it. The business environment is changing its focus, and increasingly more companies are choosing to embrace technology to boost bottom line. Financial planning software solutions are just the beginning. We expect things to evolve, however the more advanced we get with our companies, the greater responsibilities we’ll have. It all comes down to being willing to change and adapt in order to thrive and surpass the competition. If you do a lot of research on binary options trading, it is likely that you have read about an article on Forbes that is telling people to avoid trading in binary options. The title of the article on Forbes is Don’t Gamble on Binary Options and I want to comment that the writer who wrote this article did not do much research on the subject and it is obvious that he don’t have much experience on binary options trading. Therefore, we have decided to address every single point in the article at Forbes to give reader a better understanding. The first point claims that binary options trading is just another form of gambling and that it mainly attract people who like to gamble just like those who frequently play at the online poker sites. It says that these people just mask themselves as respectable traders but they are really just gambling away their money. Those who have a lot of experiences in trading will tell you that traders who don’t do much research before investing are in fact regarded as gamblers. Traders who educate themselves by doing research on the asset they are trading and careful in taking into account all factors are not to be regarded as gamblers. Trading binary options is not to be confused with gambling because you have to study the economic data to predict the price movement. The price movement of an asset can be predicted by watching out for the release of major news such as a political event or unemployment. Besides, many brokers have offered a lot of features that help to minimize the losses of the traders. One feature is the stop loss feature which allows traders to end the option to stop the loss if they perceive that the price is going in the opposite direction of what they predict. The second point is that it appears that the writer just simply paste in the binary options scam email into the article without first doing research on it. The author who write the email claimed to be a professional Australian gambler in the poker game and he is doing his best to tell his father not to waste his money by investing in binary options trading. He may have been right about the payout of binary options trading but he didn’t mention which broker he was referring to. But, he was making a mistake when he said that only traders who have a lot of experiences can make a profit in the binary options trading. Many people now know about binary options trading as a way to earn side income and those who don’t have a lot of experiences are able to become a good trader within a short time. These traders have continued in trading binary options because they constantly make profits. The writer of the Forbes article argues that trading in binary options can make someone addictive. This is not true because many people have managed to become a good trader by disciplining themselves and having good money management skills. Secondly, the writer argued that no trader is able to make correct prediction every single time. While it is true that no one can predict correctly every time, this point is not fit to be used to advice people to not invest in binary options. Successful traders did not guess correctly every time but they guess correctly most of the time so that they are able to make enough profits to cover the losses. The writer points out that a trader need to have at least 54% success rate to make a decent profit. However, he forgot to take into account that binary options trading have no spreads unlike online forex trading. Another point that the writer made which is wrong is when he claimed that binary options trading is an unregulated industry. This statement is true if it was made a few years ago but many binary optinos brokers are licensed nowadays like Binary Mate. Many binary options trading brokers have started to get licensed and regulated starting in 2012. Slowly, more and more binary options brokers that entered into the market also applied for license and get regulated. Many news portals have wrote negative things about binary options trading but the truth is that it can be profitable if you are willing to do research in your trading. Fortunately, Forbes did not really not recommend binary options trading because they display advertisements for a number of online binary options brokers. Can alternative investments really outpace traditional assets over the next few years? Alternative investments took a turn for the worse a couple of years ago, due to the economic crisis. However, surprisingly they’ve managed to recover, and right now increasingly more people choose alternative assets over conventional ones to make a profit. Specialists claim that in the upcoming years, alternatives have great chances of surpassing conventional forms of investment. Even though the financial crisis had an impact on the growth of alternative assets like private equity, hedge funds, commodities, and real estate, it was the liquidity issues and poor performance that triggered a massive redemption in these categories. It has been over a decade since the economic crisis started, and some of the issues have been remedied. Right now, alternatives rock and they might even surpass traditional investment assets. On a global scale, they’ve doubled exceed the $7 billion mark. The alternative investment industry is a vital component of today’s world economy and financial system. The impact it has on society can be easily observed across multiple capital markets, as well as in board rooms and mainstream businesses. Investors who choose to spend money on alternatives currently deploy millions worldwide and play a fundamental part in redistributing risk and supporting other global markets. On a general scale, alternative investments are assets that are not included in conventional asset classes like bonds, cash and stocks. Such a broad definition would include mainstream asset investing like commodities or real estate perhaps luxury goods like fine wine or art. Alternative investments comprise a wide variety of assets, including private equity such as private debt funds, infrastructure funds, or secondary funds. On a historical scale, the three most important types of alternative investments are venture capital, private equity buyouts and hedge funds. But there are others that have gained importance, such as fine wine. One of the most notable perk of alternatives is that if offers an investor a clear set of attributes; attributes that can’t be found in mainstream investing like corporate or government bonds or public stocks. Alternative investments will continue to be influenced by important regulatory changes. Due to a financial crisis that’s still moving forward (but not at such a fast pace as in 2008), European and US regulators patched up conditions that rule numerous highly technical aspects of the financial system on a global scale. The goal is to prevent another financial crisis. Regulations targeting a single financial performer might come with ramifications for numerous others unrelated investment branches that are not included in the financial ecosystem. Therefore, alternative investors might be affected by totally new rules and regulations, in spite of the fact that most laws are targeting banks and other types of financial institutions. Among some of the potential effects, we should mention a decrease in market liquidity, access to capital, financial innovation and a visible increase in financial costs for current firms. Alternative investments are illiquid forms of investment, especially when compared to traditional funds. Many use fund structures that are close-end; these don’t allow investors to make a capital withdrawal due to the investment’s illiquid nature. Nonetheless, an investor is at liberty to sell his stake to another fund that specializes in similar transactions. On the other hand, we have open-ended funds that permit investors to take their investment capital back at any time. In mutual fund investments, managers are asked to give the capital back within several days. Hedge funds also use open-end structures but they don’t possess the requirement to return the capital quickly to the investor. The success and general appeal of alternative investments has compelled investors to use the model to wide range of investments that go beyond the principal asset classes we just described. Some are truly enticing to the alternative investing sector. Main examples are growth equity funds and secondary funds. Even though it’s too early to say whether or not alternatives will outpace traditional assets, we can state that they have great potential. Increasingly more investors today are turning their attention to fine wine & whisky investments, as well as art & collectibles. The future is unpredictable, especially when it comes to investing and diversifying your current portfolio. Wine investing is not just about storing a couple of bottles in your basement. Avid investors must understand the product before spending any money. Nearly all investments involve top quality wines from top regions like Tuscany, Bordeaux, Rhone, Burgundy and Champagne. 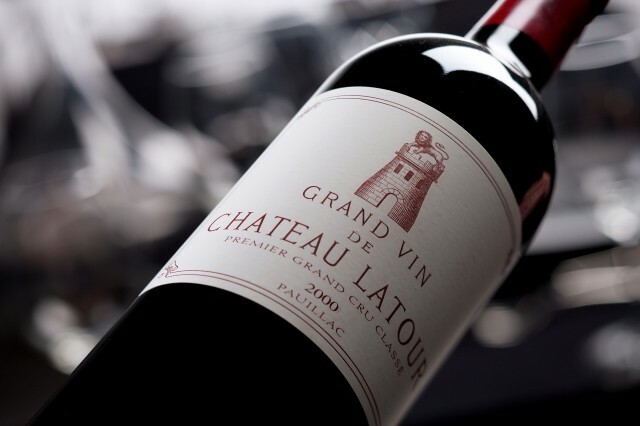 Bordeaux is on top, although the other 4 are also growing in popularity. According to Cavex, which is a reputable wine trading platform, Chateau Rothschild (two cases from 2005) has been recently traded for $6,566. In the meantime, four cases of Burgundy (Ponsot Morey St. Denis Alouettes) from 2009 have just exceeded $440 a bottle. Novice investors looking to make the jump and buy wine to diversify their portfolio should think beyond the product itself. Procuring quality wine and having it stored in proper conditions can be a challenge. WineFolly mentions that storing wine professionally begins at $18 a month (per locker with a capacity of 7-9 wine cases). For most first time investors, that should be more than enough. But if you want to expand your business and outgrow your stock you need to be careful. Additional expenses involve broker fees, insurance, and trading exchange fees on Liv-ex or Cavex. Last but not least, there’s the wait. Fine wine is not your average type of commodity that renders fast returns on your initial investment. Investors should be prepared to wait between 5 and 10 years before they can see profit. Just like all other investment types (stocks, bonds, real estate), wine involves taking risks as well. Even though the market for top-quality wines has been finally stabilized in 2013, things used to be shaky. China is starting to gain an interest in fine wine from Europe, thus triggering a boost in the world’s most famous roses. But then again, wine prices are often affected by unforeseen factors like weather, storage and reviews from wine critics. An investment can be risky for novices because of their lack of experience in spotting a scam. 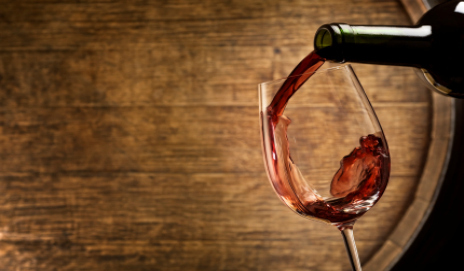 Wine fraud is quite common nowadays, and it usually revolves around selling counterfeit wine. And yet, wine enthusiasts and committed investors are not afraid of this factor. The wine market can be incredibly profitable too; you just have to know and understand it before spending any money. The world’s most looked after vintage wines provide an interesting chance to explore the industry even more. Beginners may have difficulties in getting a “feel” of the wine market; and yet, if this is your passion and you dedicate to this type of investment, then it shouldn’t bother you that money was not made – you can always drink your wine. • Focus on Bordeaux from the following years: 1982, 1990, 1996, 2000 and 2003. • Make sure your wine cases are properly stored; adequate temperatures and humidity levels are fundamental and can only be attained in controlled warehouses that are fully insured. • Insist that your product is stored under your name (or the name of your company) and opt for full replacement insurance. • Purchase wines that haven’t been shipped or traded before; this way you are sure that the quality of your initial investment is maintained in excellent condition. Making money with wine and breaking into the fine wine market can be a challenge. However, the more determined you are the better chances you have to make a good profit. Patience is fundamental when investing in wine. Knowledge is equally important. Stick to basic wines if you’re a newbie and don’t hesitate to consult with an experience and certified wine merchant to help you out. These are basic guidelines but crucial for your initial investment to pay off in time.